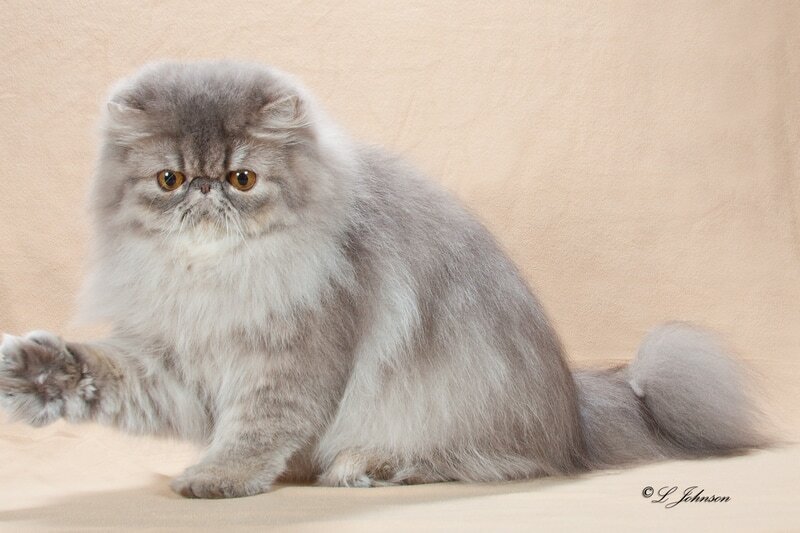 ​"Lovey" is a beautiful brown patched tabby who produced two Grand Champions in her first litter! 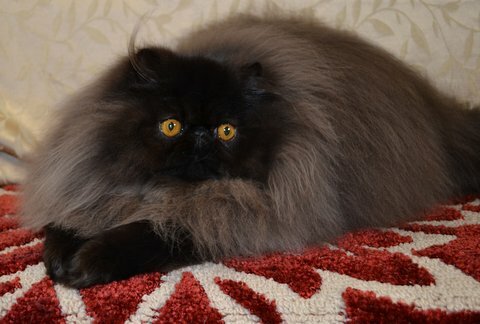 "Obby" is a stunning black Persian daughter of GC, NW Cacao Xcitement, DM and GC Marcus Raise It Baby of Cacao, DM. Her quirky personality and silly antics make her all the more endearing! "Summer" might be one of the most spoiled cats here at Cacao! Hand-raised by Carissa, they have a very special bond that generally means Summer gets whatever she wants. We hadn't intended to keep this lovely girl, as we don't really want to work too much with the cameo colors, but as she grew up, we just couldn't resist. Her name, then, came about to answer the question "Well, if you don't want to work with cameos, why are you keeping this girl?" "Because I Can." Because granded quickly and is raising her first litter. "Marlen" is a gorgeous girl that came to us all the way from Russia! She has produced a beautiful blue-eyed calico in her first litter with Angelana Aldrik of Cacao. We can't wait to see what her next litters bring us! 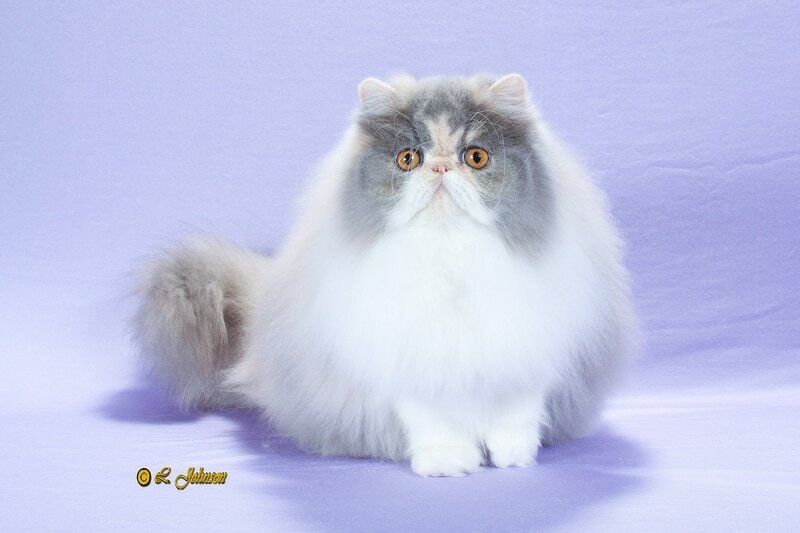 "Dori" is a stunningly pale dilute calico with a beautiful sweet expression and wonderful coat factor. "Elle" is a beautiful blue mackerel tabby who is full of personality and silliness! She has amazing head structure like her brother, GC Cacao Like A Boss. We have always admired the tabbies produced by Bayou Moon cattery, so when we got a chance to own this lovely girl, "Rose," we jumped on it! She is the sweetest girl! She fits right in with our kitties. "Flower" has returned to us for the time being from Scandalcats. We are so happy to have her back in our program and look forward to showing her babies this year! Flower is full sister to GC, NW Cacao Whiskey In The Water. 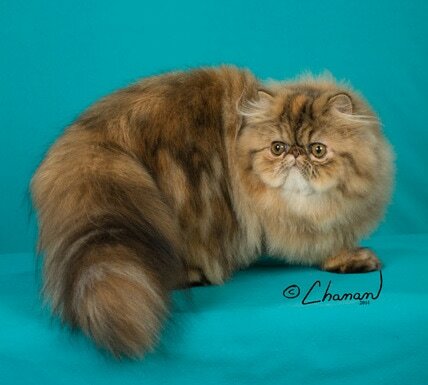 "Hailey" was an exceptionally generous and unexpected gift to us from Diane of Dal-Bo Persians. 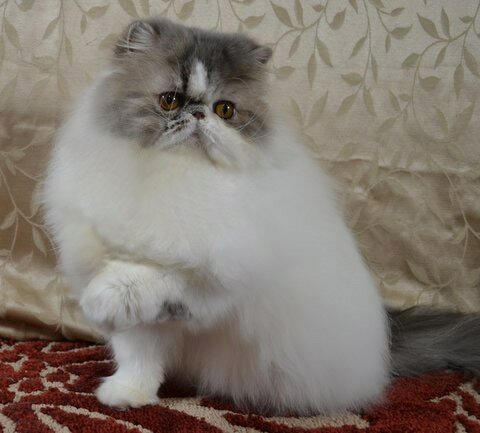 We attended a show in Virginia with the intention of surprising a friend at her regional banquet, but we were the one surprised when Diane offered us our choice of three stunning Himalayan females she was showing that weekend. Though all there were amazing, our hears have always been drawn to seal points, so Hailey came home with us that weekend. 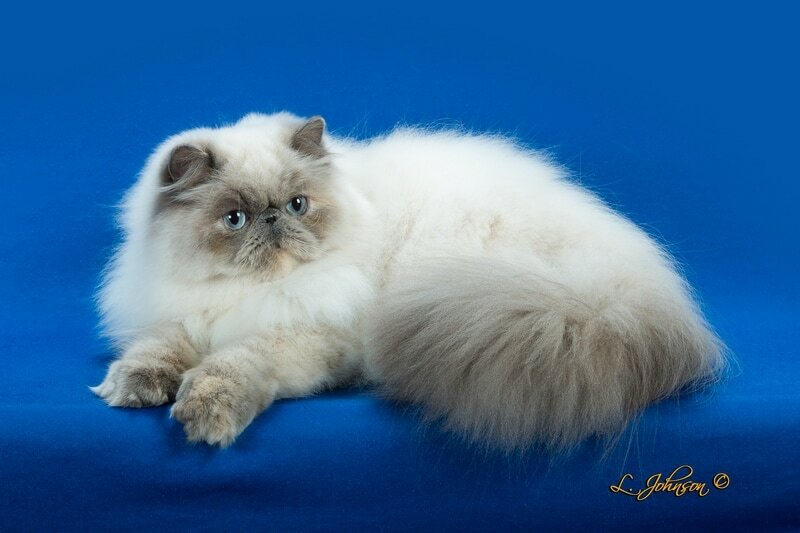 "Sunset" is a well-balanced blue-cream point by GC RW Countrygal Konrad of Cacao. She is a repeat breeding of GC Cacao Martiza of Hisglory. We look forward to seeing what beautiful babies she can produce! "Candy" is a beautiful, pale cream CPC that exceeds the norms of what most think of when it comes to CPCs! 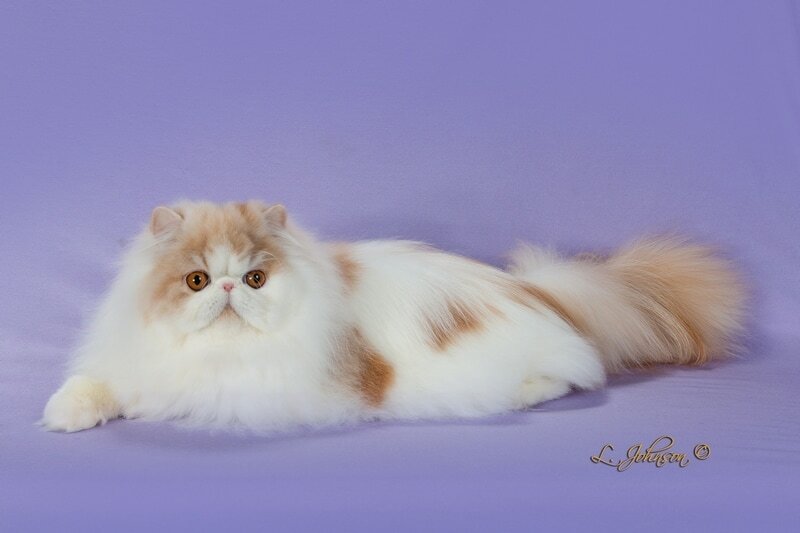 Her type, eye color, and coat color all defy expectations that CPCs cannot compete with with Persians in these areas.